Bingo enthusiasts can be forgiven for getting a tad excited about the news that Yggdrasil are set to make their move into the sector. The firm, which has developed a reputation for innovation and excellence in the field of slot gaming, confirmed plans to expand into the world of online bingo. The team behind the award-winning outfit is working hard in the background to have the new bingo product ready in time for a launch in quarter two of 2018. Their recently revealed white paper, which lists a number of key innovations that the brand hopes to bring to the table, should have online bingo gamers salivating at the prospect. At the heart of the offering (as well as a selection of high quality bingo games and handsome prizes, of course) will be BOOST™, which is an in-game promotional system that Yggdrasil has used to great effect in their slot titles. This serves up some fantastic features to bingo lovers, including leaderboards, cash drops/races, BRAG (a tool that helps gamers share their wins via their social media channels) and much more. Perhaps the most eye-catching innovation, however, is the integration of the brand’s slots into the bingo portal. So, while you’re waiting for your next bingo game to load – or even in the midst of the action if your attention to detail is second to none - players can spin the reels on mini versions of Yggdrasil’s industry-leading slots in the same window as their live bingo game! That’s a clear win-win for both players and the bingo/casino sites that choose to utilise Yggdrasil’s new platform: further evidence of the brand’s ability to put smiles on faces. In addition, all of the social functions players have come to know and love about online bingo are all present and correct. The chat feature is designed and optimised for mobile devices and is both fully secure and moderated. The ‘reactions’ button, meanwhile, is sure to raise a few giggles and help to promote a competitive but fun environment. As with most 21st century tech builds, the new bingo platform from Yggdrasil has been designed and developed with mobile devices in mind. Working in both landscape and portrait view, depending on the player’s preference, the emphasis here is clearly on the end user experience. There has been a clear paradigm shift in iGaming from companies specialising in a single field to being a ‘jack of all trades’. Punters will have their own opinion on whether that is a positive step for the industry or not, but the good news is that platforms like the one being developed by Yggdrasil enable online gambling sites to provide a high-quality experience to their customers across the board. They call this the ‘player journey’. In layman’s terms, this determines that a) it's easy to navigate around a site, and b) there's no discernible drop-off in quality, speed and reliability when flicking between sports, casino, bingo, lottery and so on. Particularly pleasing is that Yggdrasil will manage all aspects of this new cross-channel offering themselves, meaning that everything from promotions, scheduling and chat hosting will be completed in-house. From a multiple IGA and EGR Award winner, this is further confirmation that the brand’s new bingo platform should be one to watch in 2018 and beyond. 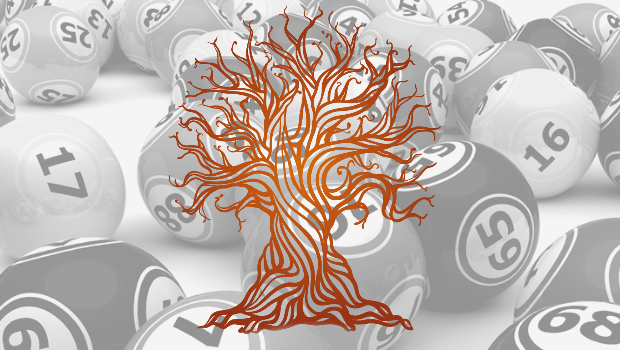 If you're interested in checking out some of the software developer's work as you wait for the online bingo products launch, feel free to visit any of the Yggdrasil casinos we have reviewed and recommend!